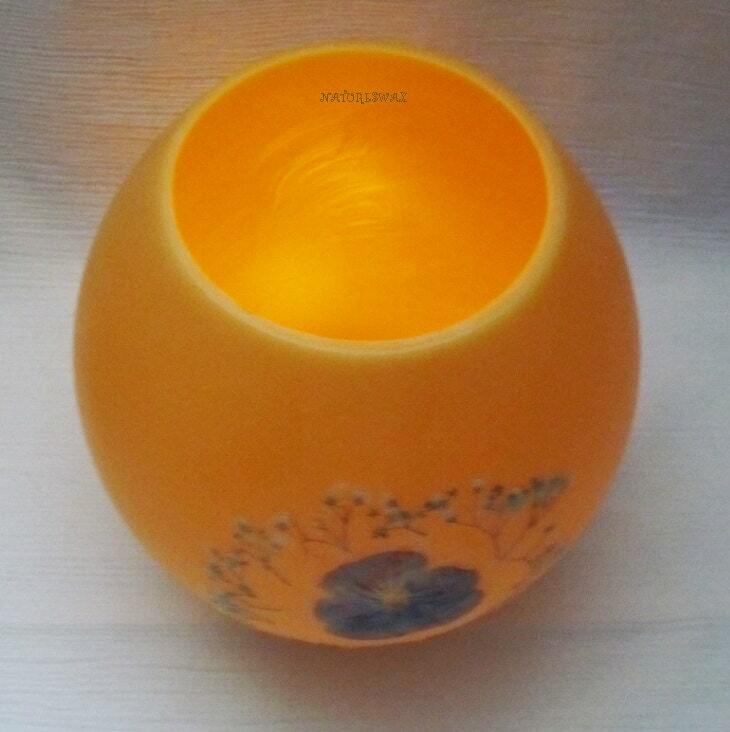 A natural Beeswax Lantern individually handmade golden honey smelling Colorado beeswax. This style lantern features one Violet Pansy flower centered around a delicate White flower border. This unique design is artistically created with each flower carefully placed under a layer of beeswax. Enjoy the natural beauty of beeswax! with an opening on the top approximately 31/2-41/2" wide. Your order will arrive in a natural kraft brown box with white tissue paper & tied with a Natural Raffia bow.Designed for endless use. A harmless white powdery dust that can easily be wiped off with a soft cloth. Bloom is a great indication that your Beeswax is pure! Customer satisfaction is a top priority, if you have any questions or would like more information just let me know.